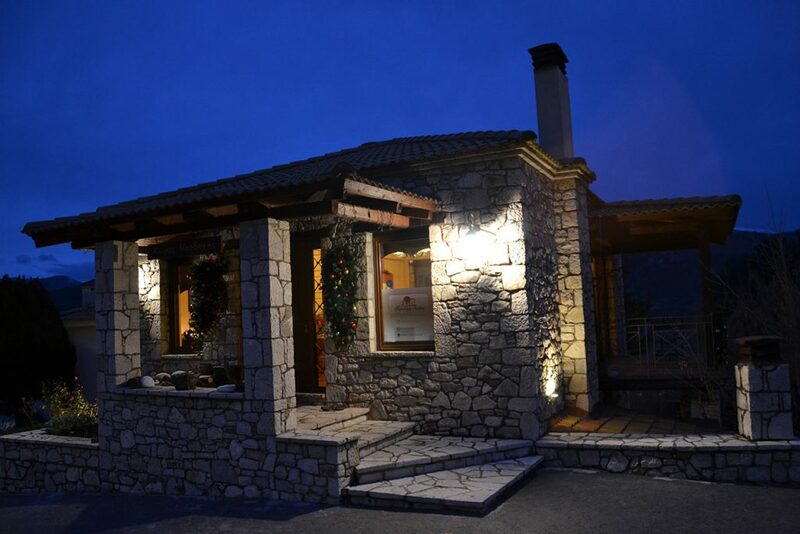 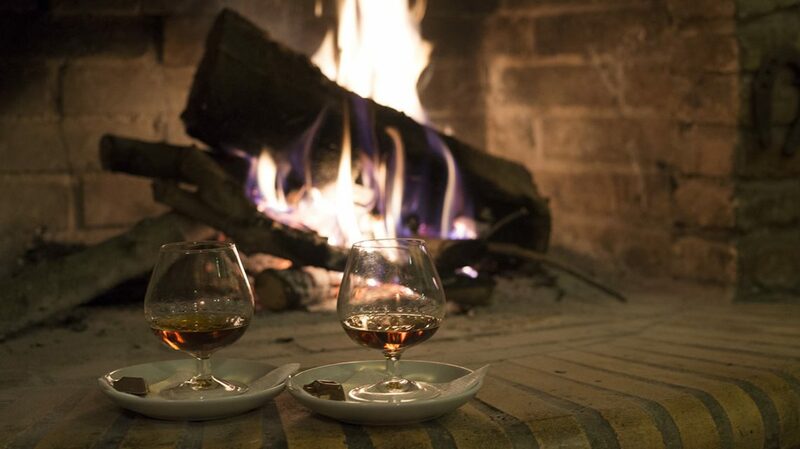 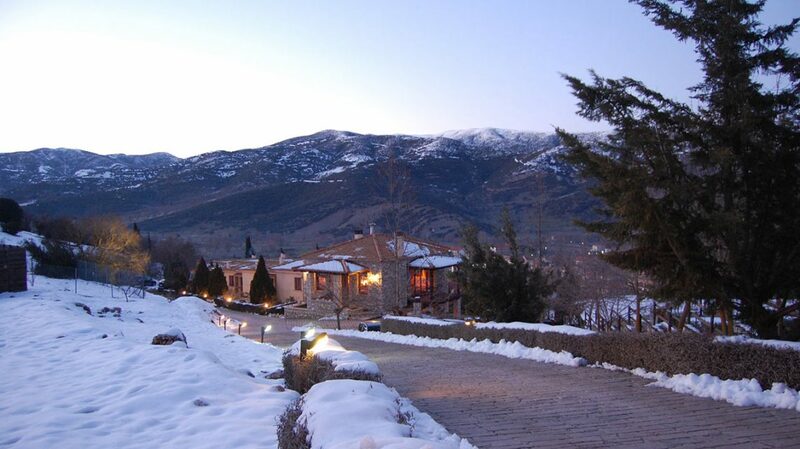 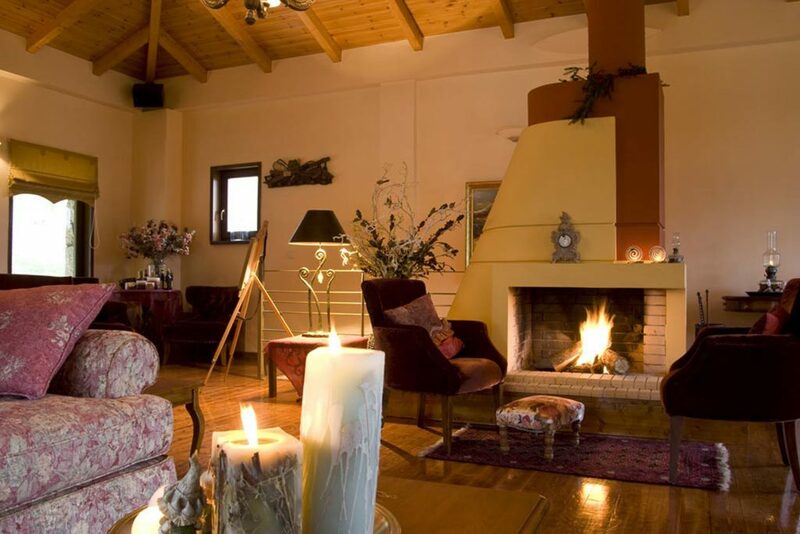 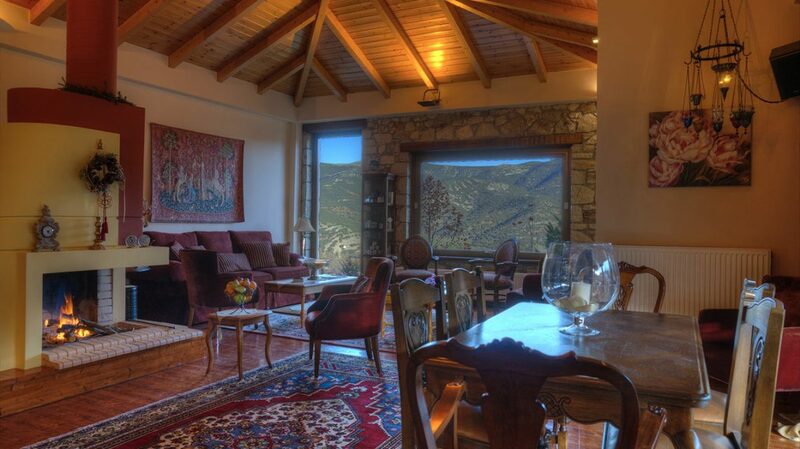 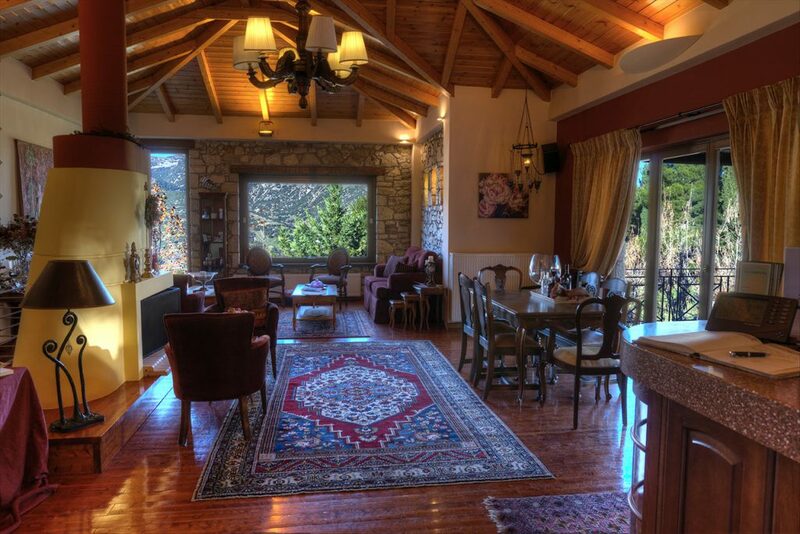 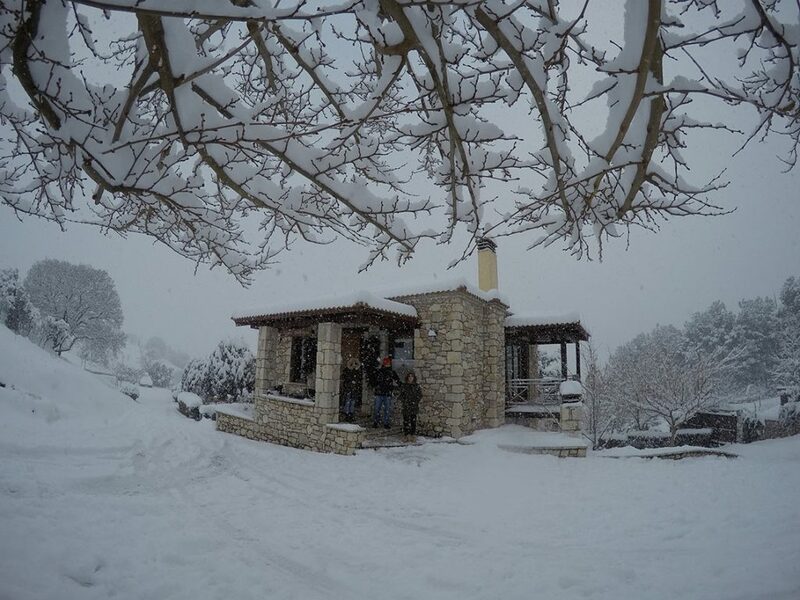 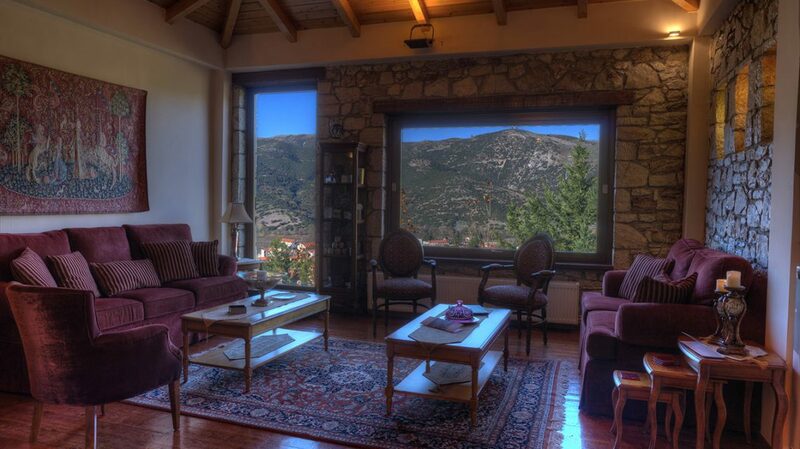 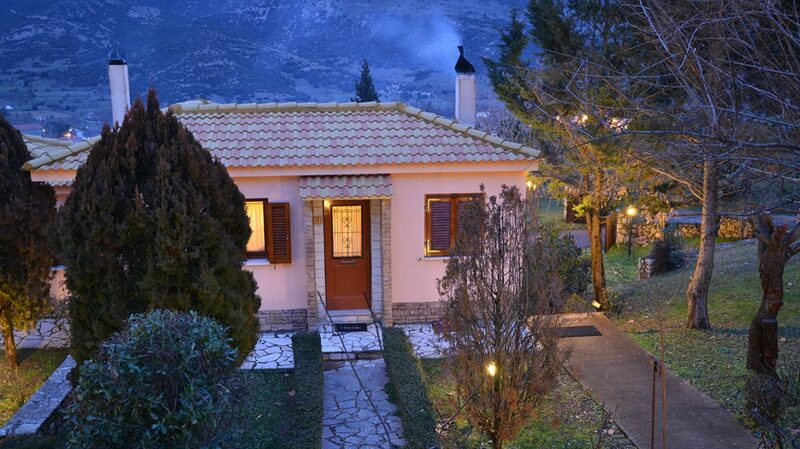 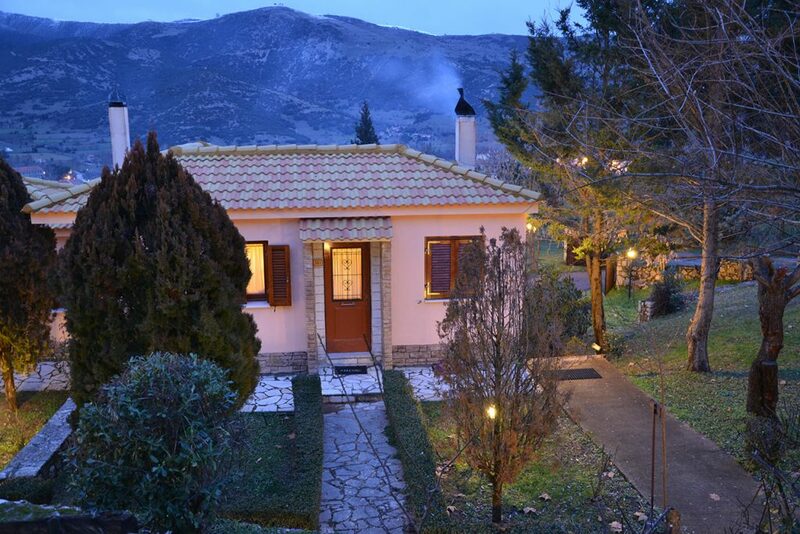 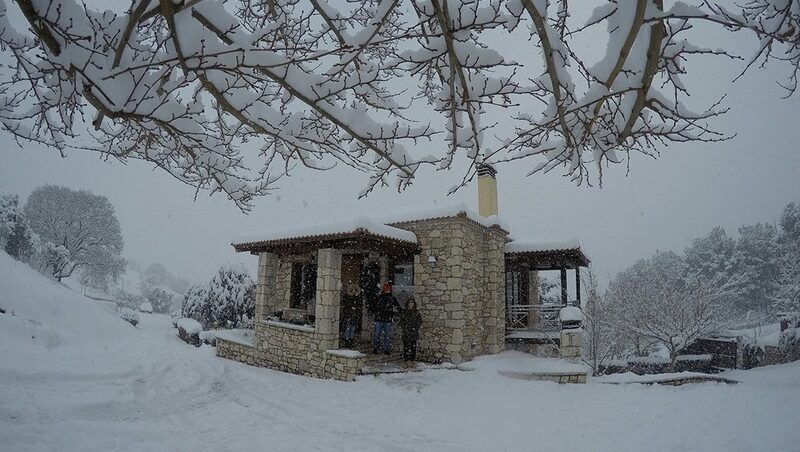 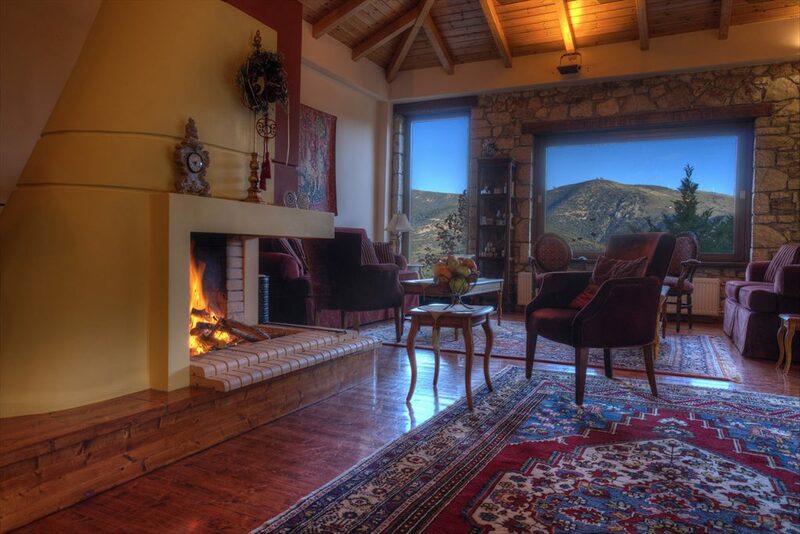 Finday Eco Boutique Hotel Kalavrita is a country and traditional hotel at the foot of Helmos. 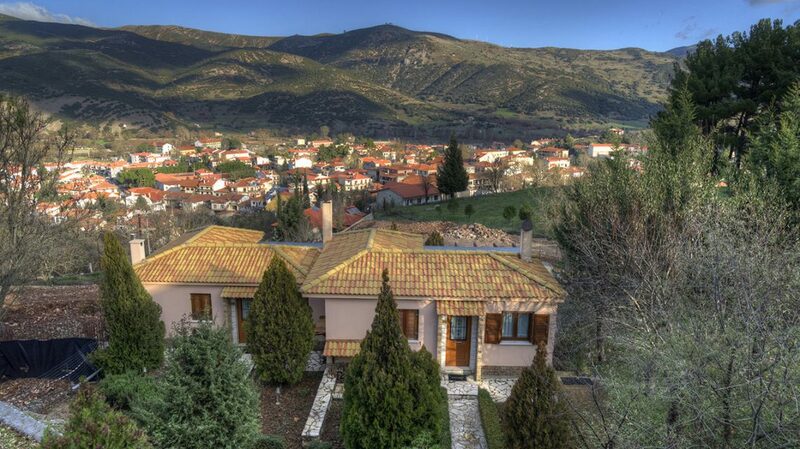 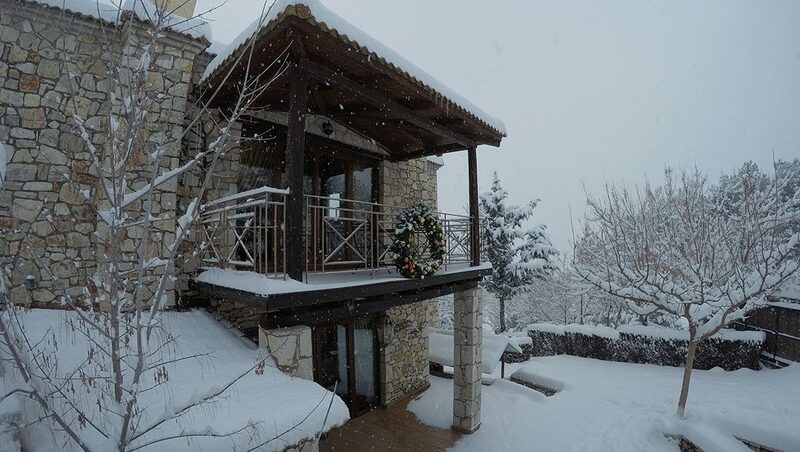 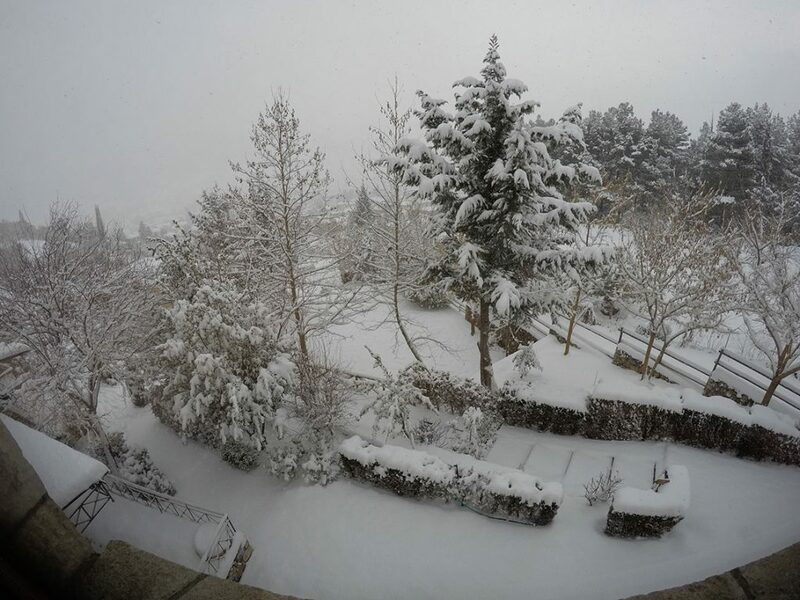 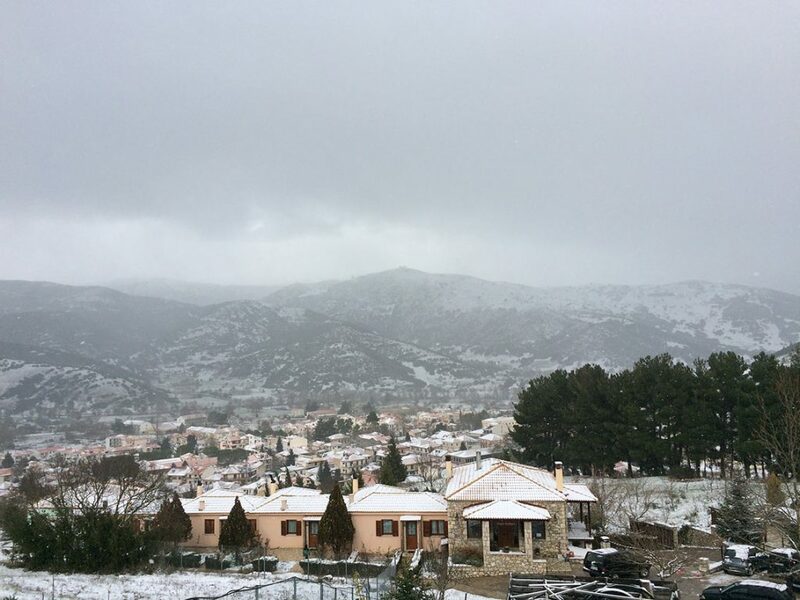 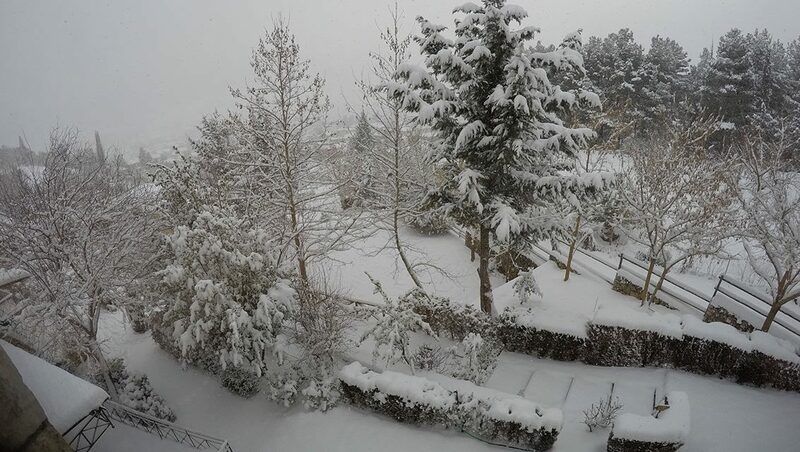 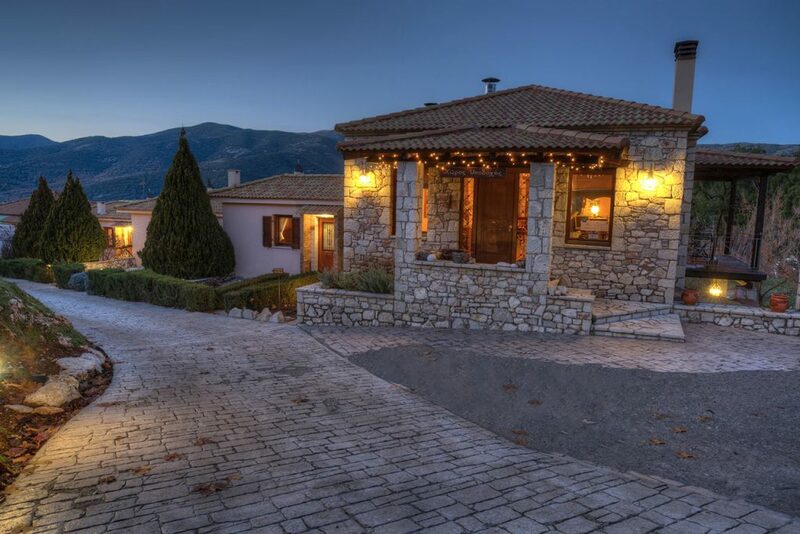 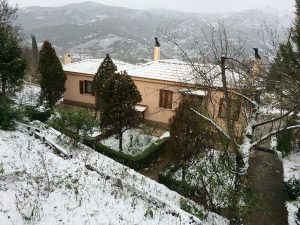 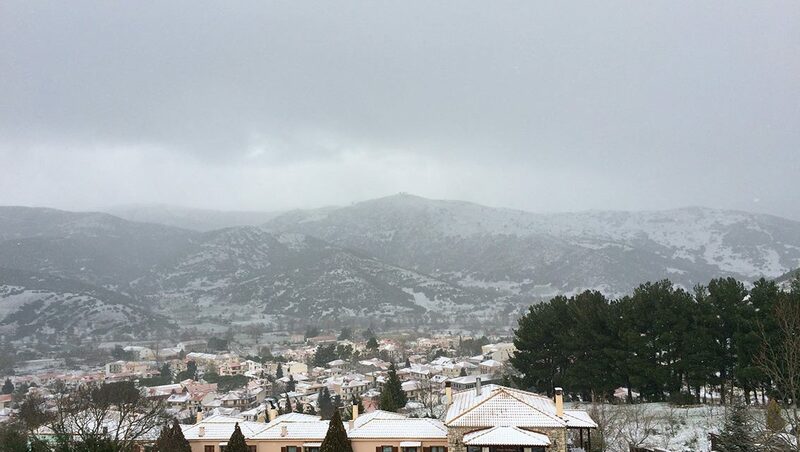 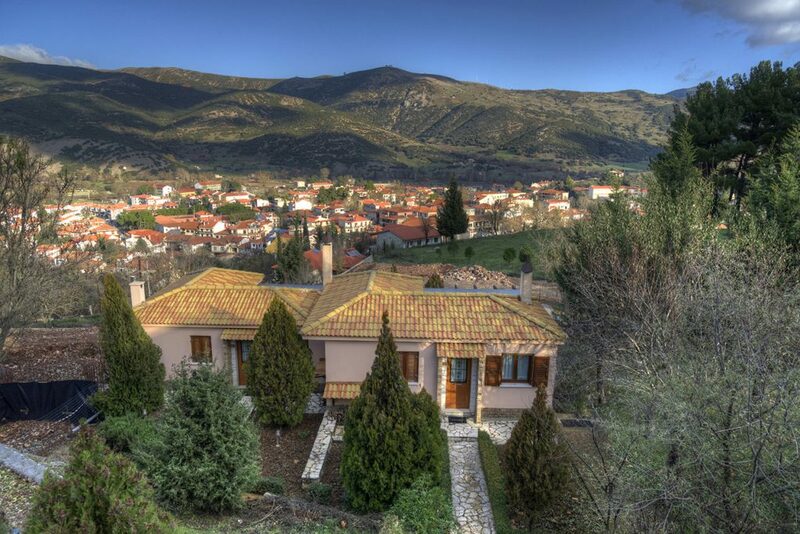 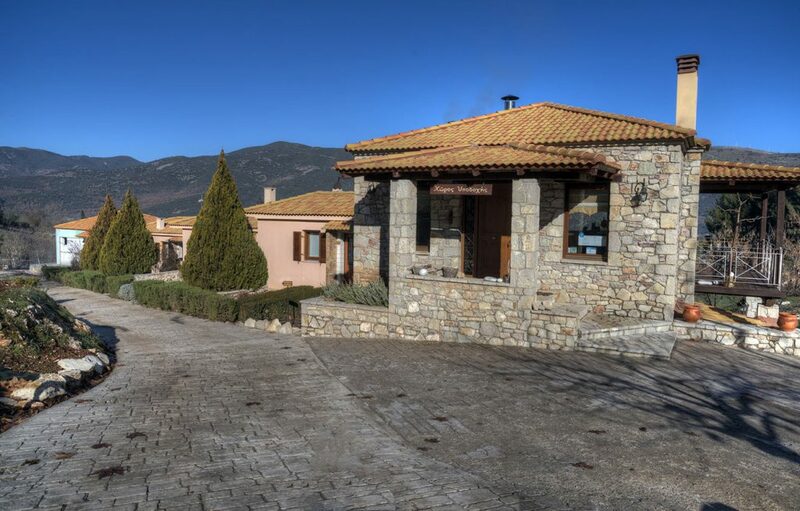 Situated in a large garden on the hill and just 800 meters away from the city center of Kalavrita, the apartments and the rooms of the hotel are divided into two buildings and are connected with outdoor corridors and stairs. 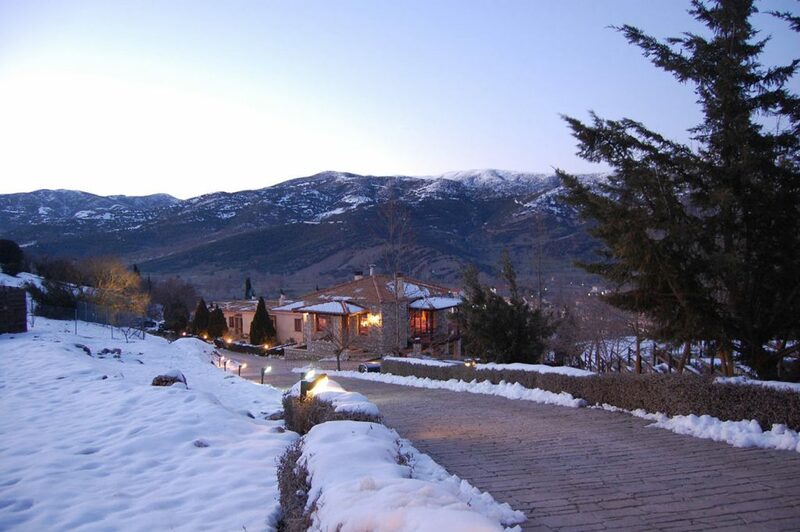 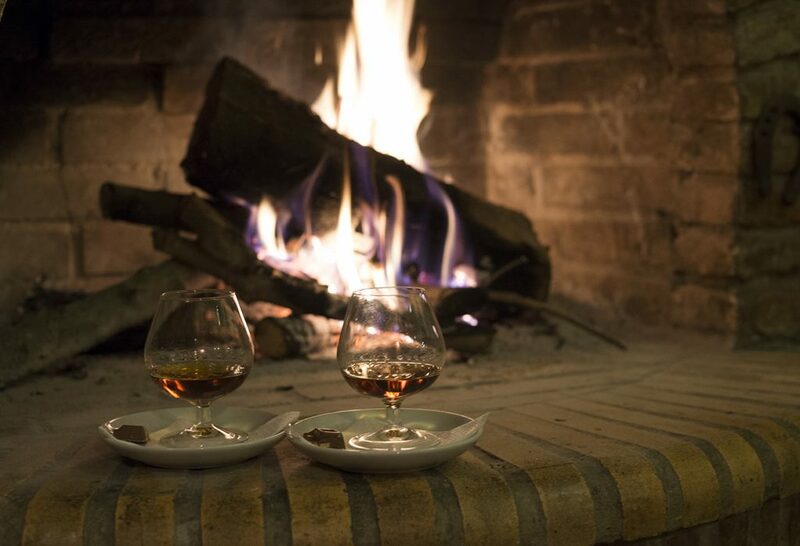 They are filled with the fragrance of several trees, chestnut trees, almond trees, quinces, and laurels. 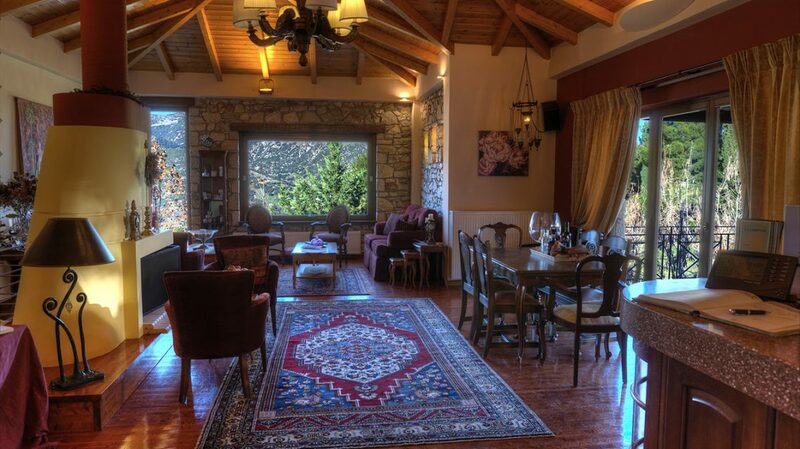 There are three types of rooms in the hotel. 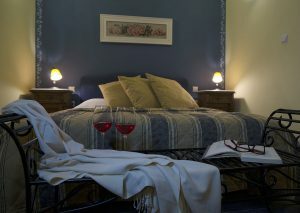 The standard double room, the Superior Room which can accommodate a family and Suites with two rooms and a fireplace (Deluxe Apartment). 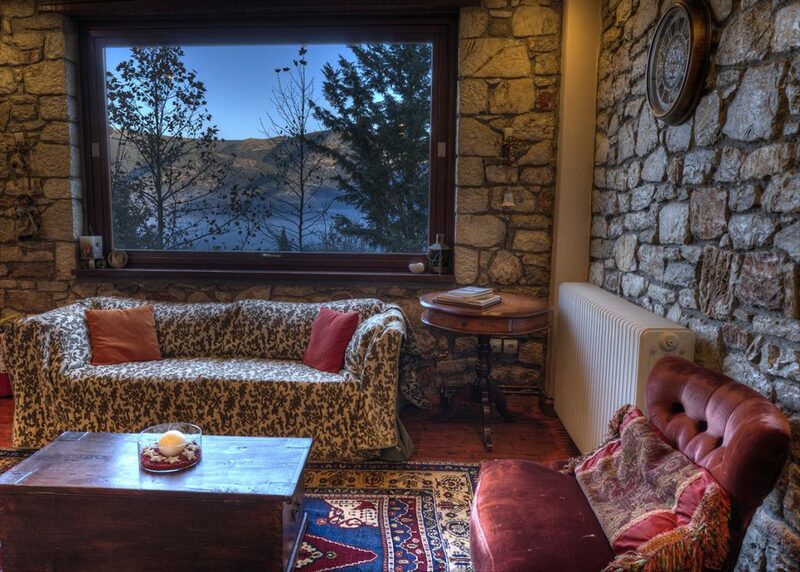 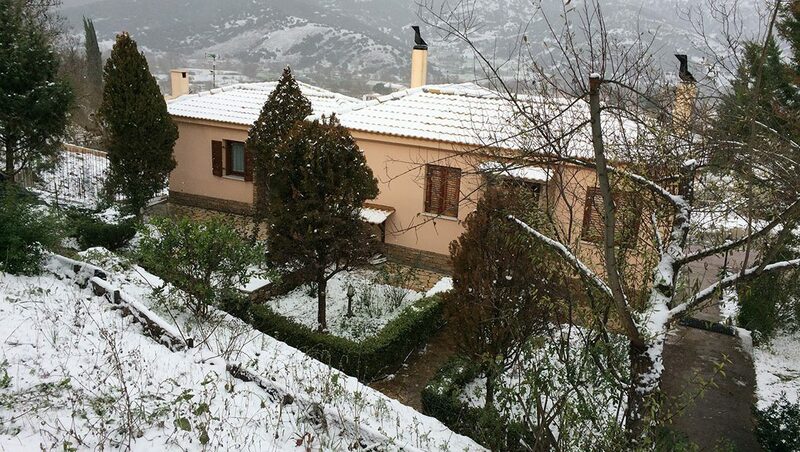 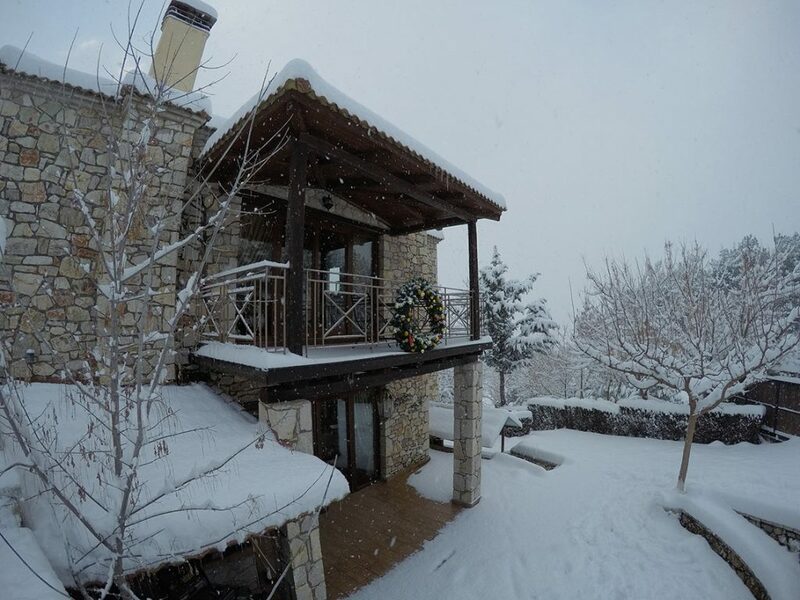 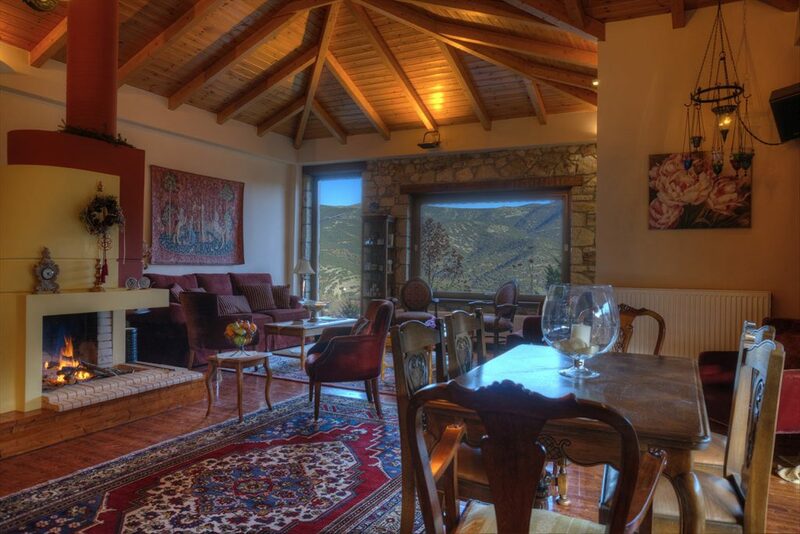 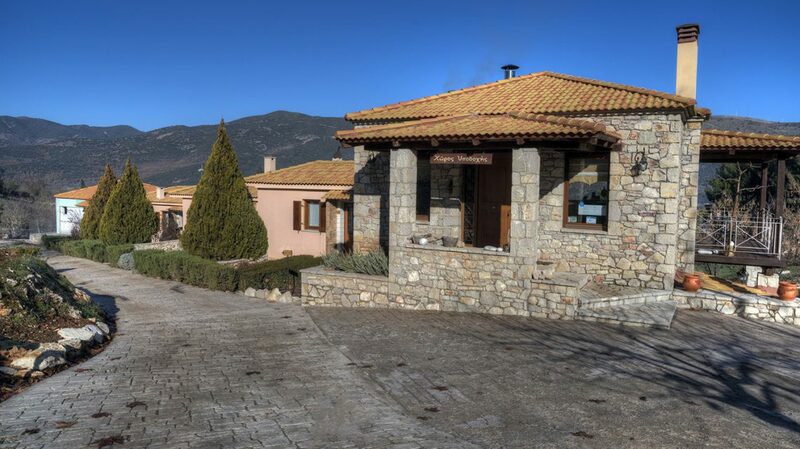 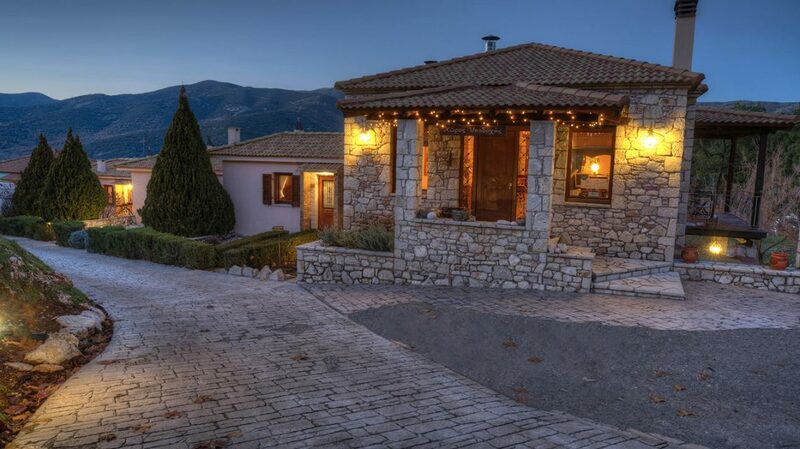 Finday eco boutique hotel at Kalavrita is the result of the hard work of a family that accommodates guests and guarantees comfort and homemade gastronomic pleasure so that visitors feel they have come to their own mountain home. 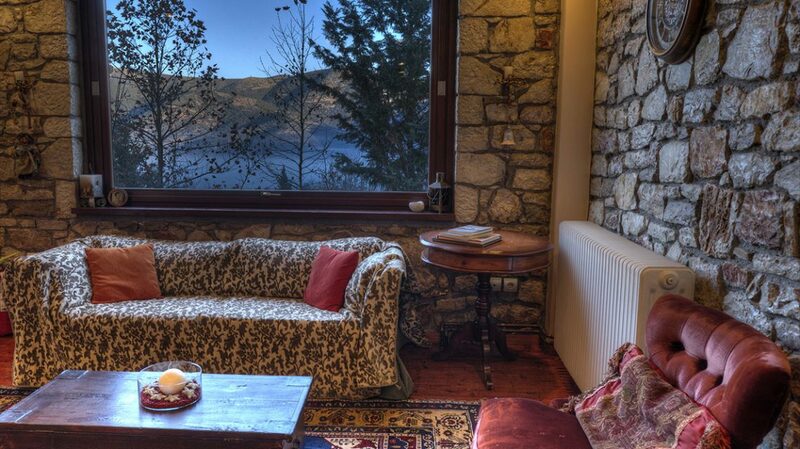 Our sensitively built and elegantly decorated guest suites feature original stone walls of Finday eco Boutique Hotel. 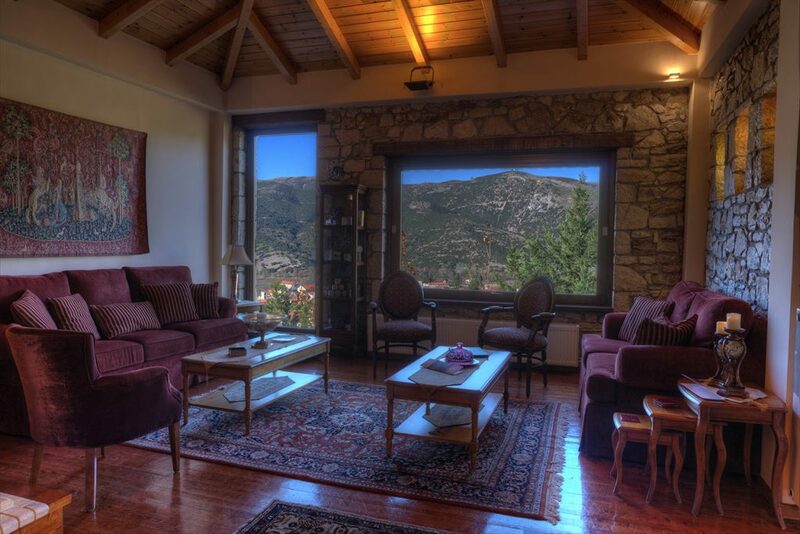 The traditional architecture and our ecological sensible philosophy is mixed with antique and modern furnishings. 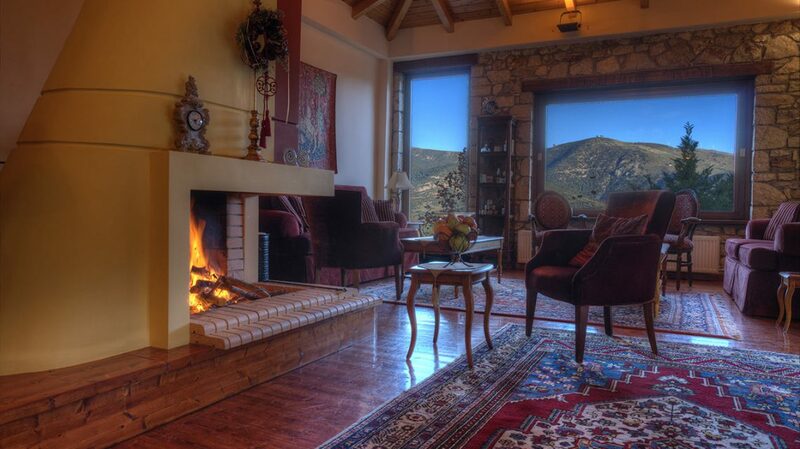 All of the rooms have its own outstanding view and they are surrounded by roses, lavender and old trees. 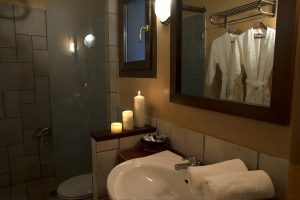 All of our suites include complimentary Wi-Fi, led TV, and kitchenettes. 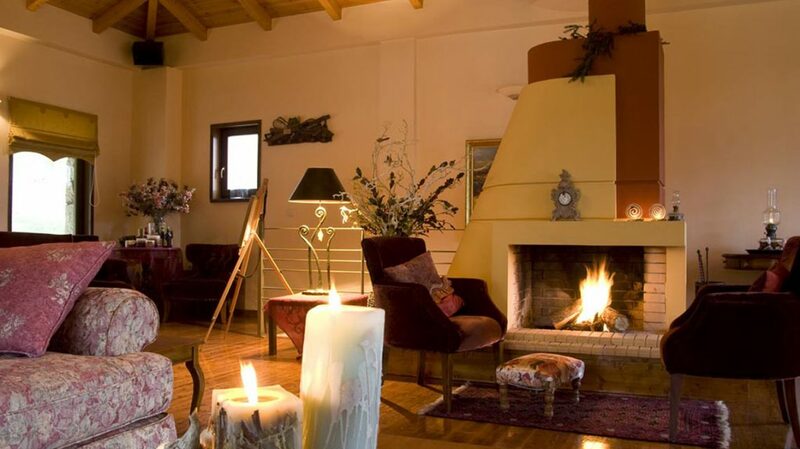 Share the post "The Hotel"